I bought an external SSD with a USB 3.1 gen 2 enclosure. I'm on macOS 10.13.6 with a MBP (late 2013). Using APFS I get write speeds of around 390–405 MB/s. So far, so good. However formatting the drive to APFS (encrypted) results in way slower write speeds of around 250–260 MB/s. Is such a performance loss of nearly 40% normal for an encrypted drive, or am I doing something wrong? I used a 10GB test file and cp to measure the performance. Copying through Finder results in similar performance. 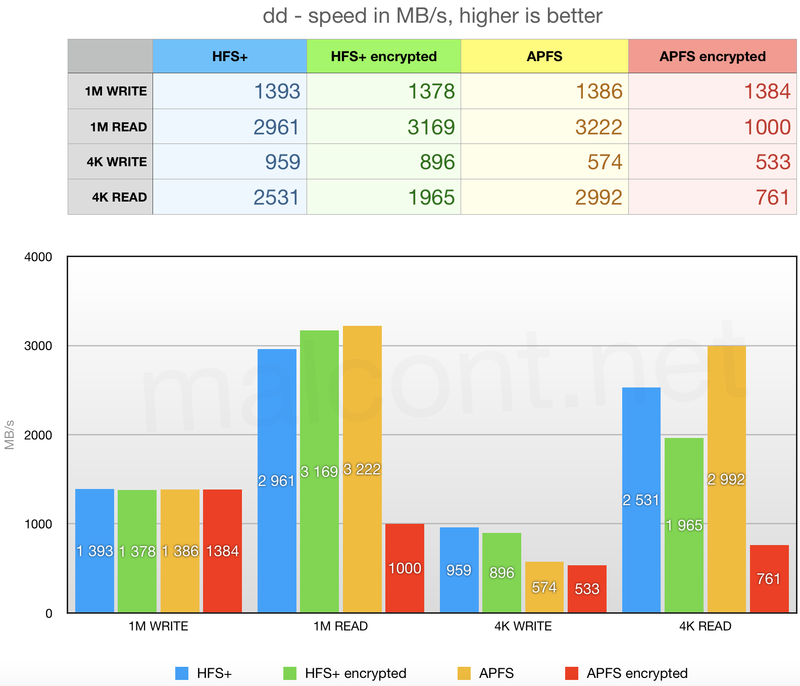 According to these benchmarks performances found here on APFS, APFS encrypted, HFS and HFS+ encrypted, your loss of nearly 40% may be surprising as you are writing and not reading. Have you encrypted your already APFS formatted SSD to an APFS encrypted or have you completely reformated your APFS drive to an APFS encrypted ? If you didn't reformat before your second performance speed test, this may be a cause. Not the answer you're looking for? Browse other questions tagged hard-drive ssd external-disk encryption apfs . How to improve IO performance of Drobo Gen 2? External SSD with OS installed not working?